TELUS is proposing to build a 40m communications tower at 6117 Perth Road in Richmond. The following notification was sent out by TELUS to homeowners within 120 metres of the proposed tower. There is a public meeting, hosted by TELUS, on May 1 at the Richmond Library between 6-7pm. Below are also two pictures, one showing the exact location and the other showing you what it would look like if the tower was installed. 1. 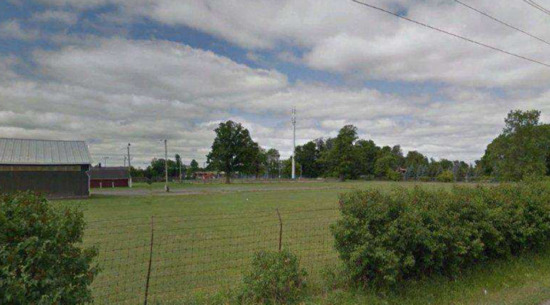 TELUS is proposing an antenna system located at 6117 Perth Road (see Appendix 1 for tower location and conceptual photo) which consists of the following: a white monopole tower and an equipment shelter of approximately thirteen (13) square metres. It is not likely that lighting or markings will be required. TELUS has submitted applications to Transport Canada or NAV Canada to confirm the requirements for lighting and markings. Once completed, the antenna system will measure 40 metres in height. Industry Canada is responsible for the approval of this antenna system and requires TELUS to review this proposal with nearby public and the local municipality. After reviewing this proposal, the City of Ottawa will provide its position to Industry Canada and TELUS. 2. The purpose of the proposed tower is to increase network capacity and improve wireless voice and data service to TELUS customers travelling through, residing in, or working in the Village of Richmond and surrounding area. Currently, there are no existing antenna system structures or buildings of sufficient height on which to locate TELUS equipment. 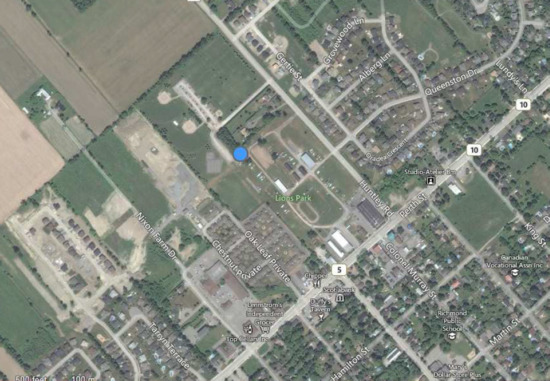 The closest existing structure is approximately 1 kilometre away from the proposed tower location. TELUS closest site is located approximately 3.5 kilometres. The location of these two sites does not meet the coverage objective. 3. To meet the objective, the proposed tower must be located within the area to cover and be at a sufficient height. The proposed structure is 40 metre monopole. The antennas will be installed at the top of the monopole and flush-mounted to the tower structure. In addition to the monopole, an equipment shelter will be located within the fenced compound area. 4. TELUS attests that the proposed installation will be installed and operated on an ongoing basis so as to comply with Health Canada's Safety Code 6. The installation will also comply with any future changes to the Code as may be amended from time to time. Industry Canada requires all wireless carriers to operate in accordance with Health Canada's Safety Code 6 which regulates human exposure to radio frequency electromagnetic fields from emitting devices. 5. TELUS confirms that the proposed monopole will respect good engineering practices including structural adequacy. The proposed monopole is a CSA engineered tower which complies with a 37-01 CSA Standard. 6. As per Transport Canada's Aeronautical Obstruction Clearance, no lighting or special markings are required on the tower. The only lighting proposed as part of the development is a small wall-mounted fixture above the doorway of the equipment shelter. Standard Land Company, on behalf of TELUS, invites you to attend our Community Information and Comment Session at the Richmond Public Library, 6240 Perth Street, Richmond, on May 1, 2014 between 6:00 pm and 7:00 pm, or, within 30 calendar days of the date of this notice (ending May 11, 2014), to provide by e-mail or letter your comments, and/or request to be informed of the City's position on the proposed antenna system. TELUS will respond to all reasonable and relevant comments or concerns, and that the City will be taking into account comments from the public and TELUS' response to each when providing its position to Industry Canada and TELUS. For additional questions regarding overall planning and development, please visit the City of Ottawa's frequently asked questions page. The Infrastructure Services and Community Sustainability Department is offering the Planning Primer Program to help residents become more aware of, and more involved in the land-use planning process.